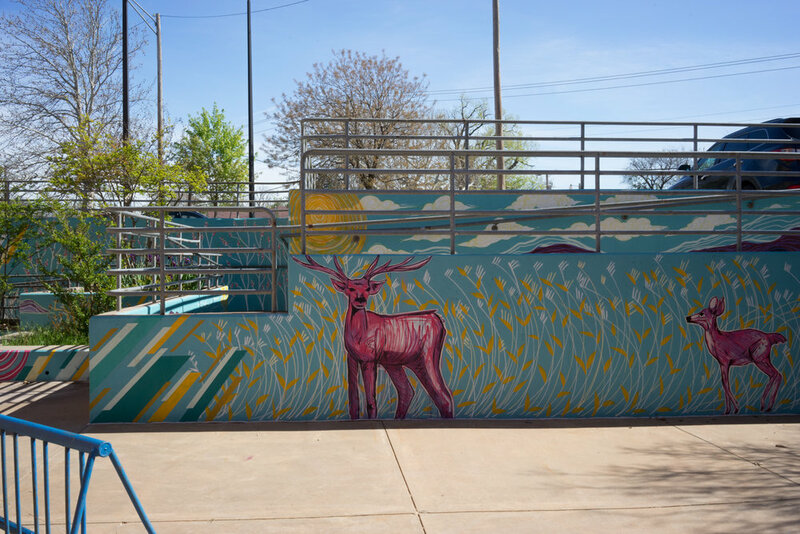 Due to reduced budgets and resources, Eugene Field Elementary, the school in the Classen Ten Penn Neighborhood in Oklahoma City, was forced to cut their in-school visual arts program. 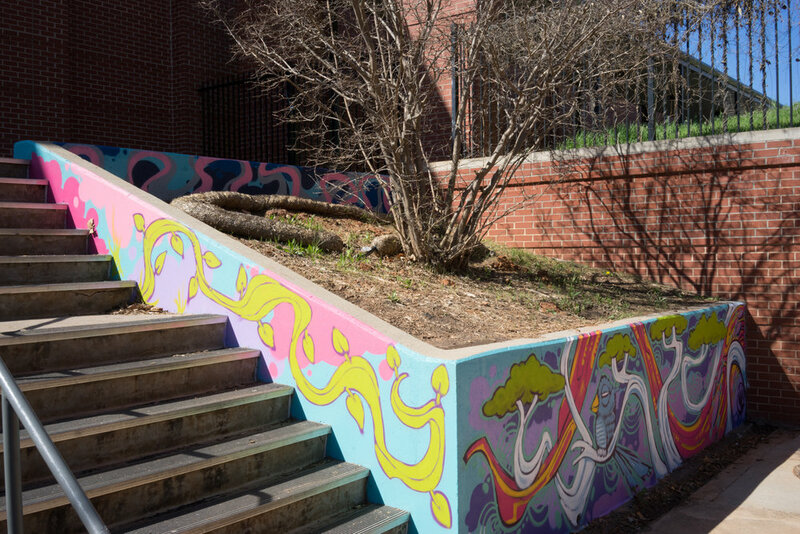 In response to this need, Current Studio developed a program to fill that gap, providing arts education for our neighborhood school. Because we believe that art is as important as science, technology, engineering, and math education. Erin worked with students in grades 2 through 5 for the Fall semester of school. Collaboratively they wrote a story and created illustrations to accompany the story. The illustrations were then brought to life and installed throughout the building. This program was funded through individual donors as well as with grants from the Oklahoma Arts Council and Allied Arts. 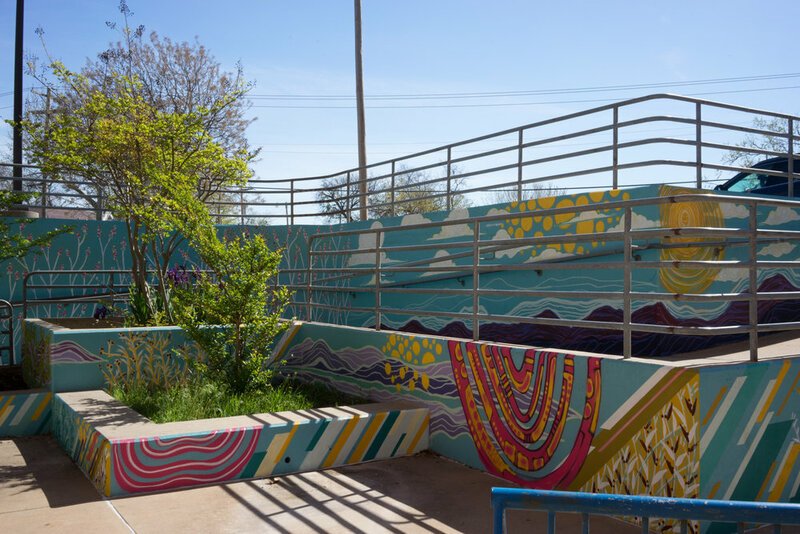 Current Studio's partners for this visual art program in the school were the Oklahoma City Public Schools, Eugene Field Elementary, the Eugene Field Elementary Community Action Board, and the Plaza District Association. Once upon a time there was a flying panda who could not do math. Panda’s best friend was a fox who happened to be very very good at math. Fox saw how sad Panda was and he started to cry. Fox cried and cried. He cried so much that fox cried a river. The river began to swell and the water flowed so swiftly and powerfully that it swept into the zoo and busted all the cages that held the animals. All the animals were free. Some of them were good swimmers, but some were not. The Flamingo fired up his jet pack and flew above the river to safety. The water dinosaur was able to save a few animals by putting them on his back. There were two slow boats from Japan who finally arrived and rescued some animals. But it was too late. The water was so high and strong that it ripped a hole into the earth. All of the animals fell into the hole and found themselves in the middle of very complicated and difficult maze. Once inside the maze, they were cold, hungry and afraid. Just when they were about to lose all hope, they met an old, wise spider. The spider told them that at the end of the maze there was a magic door that led to an incredible place. He said if you find the end of the maze, you will find the magic door. All of the animals began to work together and finally found the magic door. They were met by the two guardians of the door, a Spinosaurus and Godzilla. The Spinosaurus and Godzilla knew that all the animals were hungry, so they handed each a bag of Taki’s and asked them if they were ready to go through the magic door. The Spinosaurus opened up the door and on the other side was…. Eugene Field. So if you ever find yourself walking through the halls of Eugene Field Elementary school don’t be surprised if you meet some of these animals! 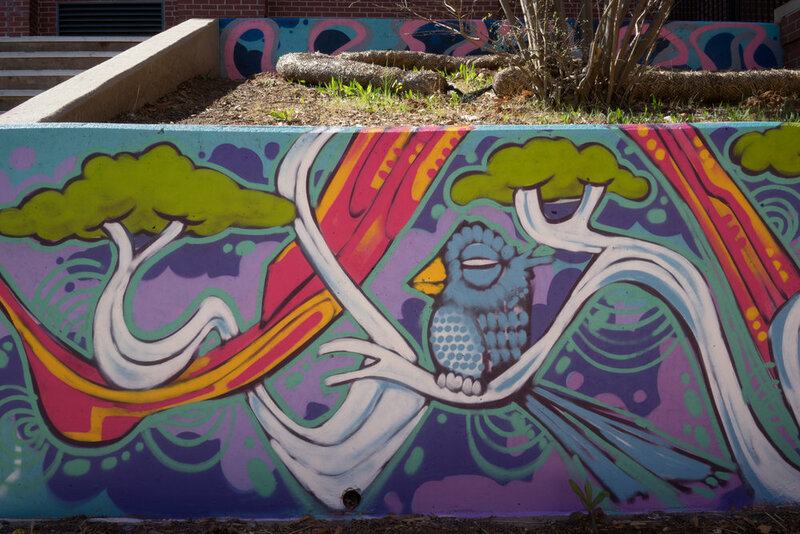 Have you seen the awesome mural Jason Pawley and Sean Vali made for Eugene Field Elementary's courtyard? It's fantastic! This program is made possible in part by a grant from the Oklahoma Arts Council. This program made possible in part by a grant from Allied Arts.